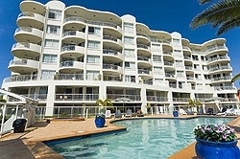 Located in Kirra, at the spectacular southern tip of the Gold Coast, Kirra Beach Apartments are a short taxi ride from Gold Coast Airport, and are within easy walking distance of patrolled surfing beaches and Coolangatta with its shops and restaurants. Theme and National Parks can be easily accessed by car or public transport. 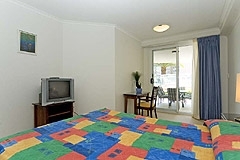 We are directly opposite beautiful Kirra Beach, famous for its surf breaks, crystal clear water and pure white sand. 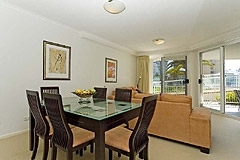 Kirra Beach offers fantastic ocean and Gold Coast hinterland views. 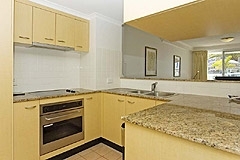 2 Bedroom Apartment - 2 Bedroom plus Studio Apartment - 3 Bedroom Apartment - East Penthouse -West Penthouse Available BookToday. 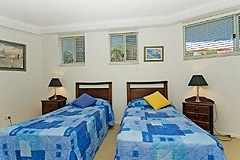 2 Bedroom Rates are for 4 people. Max. occupancy is 5 people. 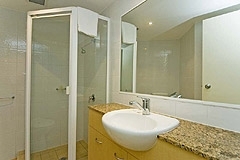 2 Bedroom + Studio Rates are for 5 guests. Max. occupancy is 6 people. 3 Bedroom Rates are for 6 guests. Max. occupancy is 7 people. 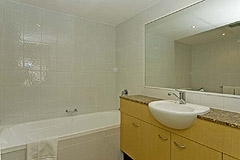 4 Bedroom Penthouses Rates are for 8 people. Max. occupancy is 9 people. 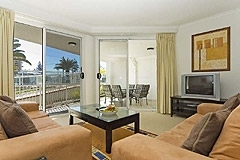 2 Bedroom + Studio Oceanview Apartment Min 3 Nights.